Professor Dayna Nadine Scott was appointed as York Research Chair in Environmental Law & Justice in the Green Economy in 2018. She is cross-appointed with York’s Faculty of Environmental Studies, with a teaching focus on environmental law and justice, risk regulation and international environmental governance. Professor Scott is a co-director of Osgoode’s Environmental Justice and Sustainability Clinic and a co-coordinator of the joint MES/JD program. Professor Scott joined Osgoode’s faculty in 2006 after completing a SSHRC Post-Doctoral Fellowship at McGill’s Faculty of Law and a Hauser Global Research Fellowship at NYU. Professor Scott’s research interests focus on contestation over extraction, the distribution of pollution burdens affecting marginalized communities and vulnerable populations, and the justice dimensions of the transition to a greener economy. Professor Scott is the Primary Investigator on the current SSHRC-funded project, “Consent & Contract: Authorizing Extraction in Ontario’s Ring of Fire” with colleagues Andrée Boisselle, Deborah McGregor and Estair Van Wagner. 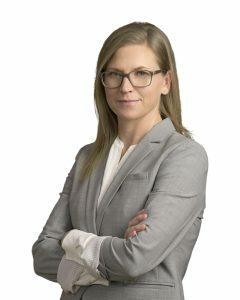 She was also part of the SSHRC Partnership Development Grant, “Reconciling Sovereignties: New Techniques for ‘Authorizing’ Extraction on Indigenous Territories” led by Professor Shiri Pasternak, in partnership with the Indigenous Network on Economies and Trade (INET) and MiningWatch Canada. Past projects included SSHRC-funded research in partnership with environmental justice activists from the Aamjiwnaang First Nation, near Sarnia`s Chemical Valley, that applied a critical, feminist perspective to the examination of law’s treatment of the risks of long-term, low-dose exposures to pollutants, and another SSHRC-funded project with Professor Gus Van Harten (“Investigating Regulatory Chill”) that examined the contemporary constraints on regulation to protect the environment, with a focus on investor rights in the resource extraction context. Professor Scott’s publications cover topics from environmental justice activism and experiential knowledge, to contested resource extraction, to the challenges posed for law and environmental health by the emerging endocrine disruption thesis. She is interested in questions of environmental regulation and governance from an interdisciplinary perspective, especially work that interrogates the interaction between local and global modes of governing and ways of knowing. Professor Scott is the editor of Our Chemical Selves: Gender, Toxics and Environmental Health (UBC Press, 2015) and the past Director of the National Network on Environments and Women`s Health. Among other awards, Professor Scott has been a recipient of Fulbright and SSHRC Fellowships, and the Law Commission of Canada’s “Audacity of Imagination” Prize. Reforming the Canadian Environmental Protection Act: The assessment and regulation of toxic substances should be equitable, precautionary, and evidence-based. Brief to the Standing Committee on Environment and Sustainable Development, 3 June 2016. Recent publications explore the dynamics of “sacrifice zones” in the context of the emerging green energy economy; the tactics of activists resisting tar sands extraction in Peace River Alberta (“‘We are the Monitors Now’: Experiential Knowledge, Transcorporeality and Environmental Justice” (2015) in Social & Legal Studies), and the Idle No More movement (“Comment: The Forces that Conspire to Keep Us ‘Idle’”, in the Canadian Journal of Law & Society).